Obeying orders; doing what you’re told. Drinking too much, ____ing too much. Letting experts take care of things. Giving up after the first failure. Friedlieb Ferdinand Runge was the first to identify caffeine, coal-tar dyes, a precursor of quinine, and carbolic acid. 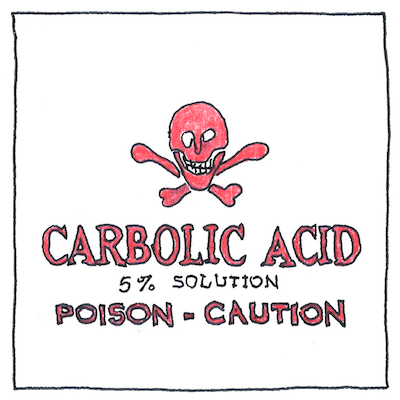 Runge derived carbolic acid from coal tar, which was confused with creosote, known to protect wood from rotting. Therefore, Joseph Lister used carbolic acid to sterilize surgical gauze. Listerine was named after Joseph Lister.